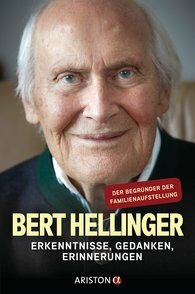 Bert Hellinger is the founder of Family Constellations, considered a decisive impulse in psychotherapy and now in use worldwide. He is not only one of the most successful, but also one of the most colourful and controversial personalities of the psycho-therapy scene. What has influenced him? What experiences have led him to so intensively delve into the severe disturbances that often affect familial systems over generations? This is his first comprehensive account of various periods of his life, including his time as a missionary in South Africa, his extensive education in psychotherapy, and the development of his Family Constellations, through which, teamed with his wife, Sophie, he is still helping people. In this book he provides a profound picture of his ideas and insights about what makes families dysfunctional and what prevents individual family members from leading fulfilled lives. His autobiography is in this sense also a guide to a joyful life and for finding inner peace in love.